The Kånken backpacks by Fjällräven are so icon that the Swedish Society of Arts and Crafst have decided they are actually art. 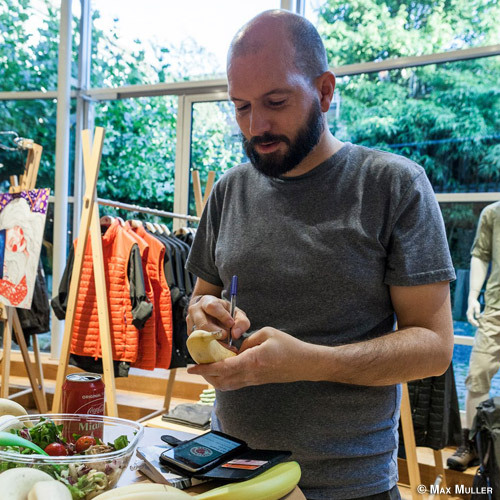 To celebrate Fjällräven has launched a Kånken = Art campagne with special new designs and online art contests. 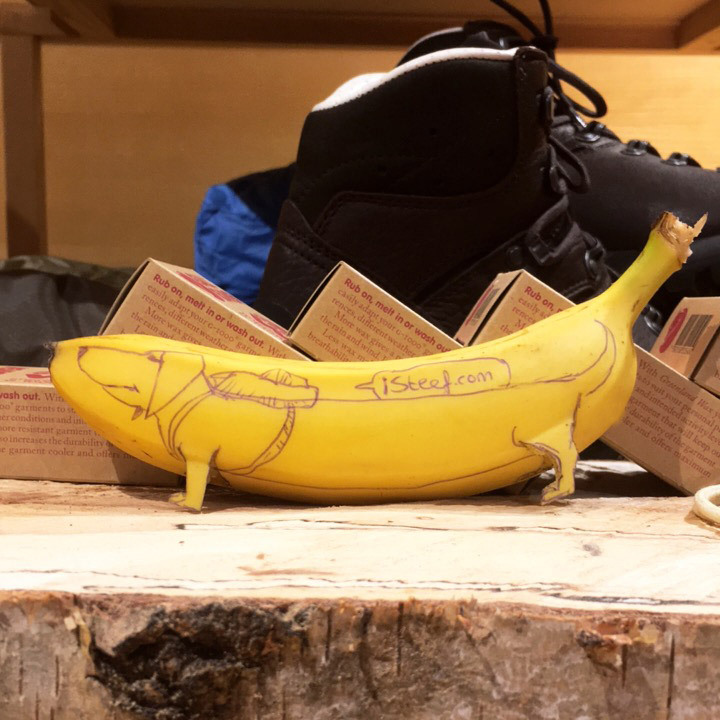 The Fjällräven Brand Center Amsterdam joined in on that and organized a special Kånken = Art event where people could create and win art. To inspire and give the whole event an extra happy and creative vibe they also invited a few artists. They found a great match with my banana art. 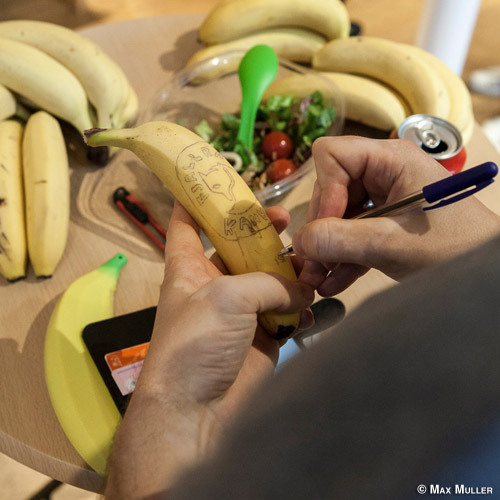 It checked all the boxes: a banana = a happy fruit, banana art = pretty creative! 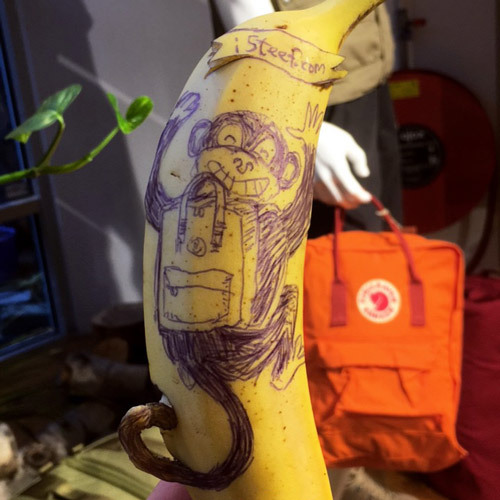 So there I was creating unique Kånken inspired banana art. 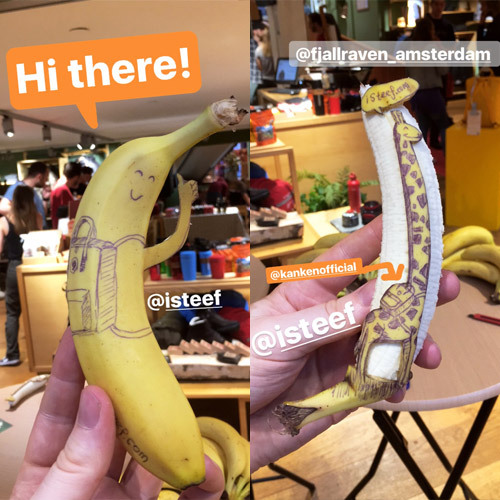 I also posted my creations on Instagram Stories and gave them some shoutouts on social media during the event. Great guy, great and tasteful art!